I am stepping in to help liveblog TED for Ethan Zuckerman today. This post is part of a series from the TED 2009 conference held in Long Beach, California from February 4-8th. You can read other posts in the series here, and the TED site will release video from the talk in the coming weeks or months. Because I’m putting these posts together very quickly, I will get things wrong, will misspell names and bungle details. Please feel free to use the comments thread on this post to offer corrections. You may also want to follow the conference via Twitter or through other blogs tagged as TED2009 on Technorati. 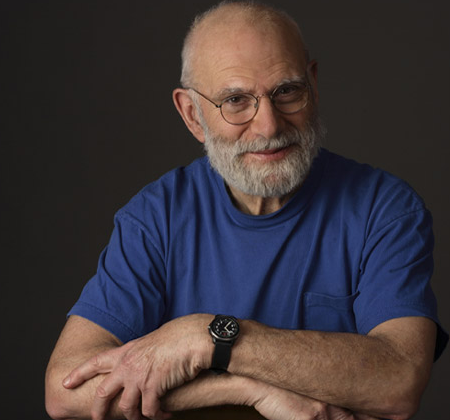 We start this morning with Oliver Sacks, who since Awakenings first stormed the bestseller lists (and the silver screen), has become an unlikely household name, and single-handedly invented the genre of neurological anthropology. We see with our eyes, but we also see with our minds. Hallucinations is what he will be talking to us about today. She was confused, and thought she might be going mad. She wasn’t, she had Charles Bonnet Syndrome: an anarchic visualization stimulation release. 10% of visually impaired people get visual hallucinations. 10% of hearing impaired people get hearing hallucinations. As the visual parts of the brain aren’t getting as much input, they start to become hyperactive. Oliver tells us amazing stories of people what people see. Of boys flying up to 100 feet, men splitting into 6 parts and cartoons come to life. Functional Brain Imagery (FMRI), has been possible in the last couple years. He tells us how the different parts of the brain are being activated and which are overactive for certain types of hallucinations, and it’s different parts that see teeth and eyes, from buildings, landscapes or cartoons. He reminds us that blind people all over the world, many times have cases of hallucinations, yet they probably don’t share those with people for fear of being seen as crazy.